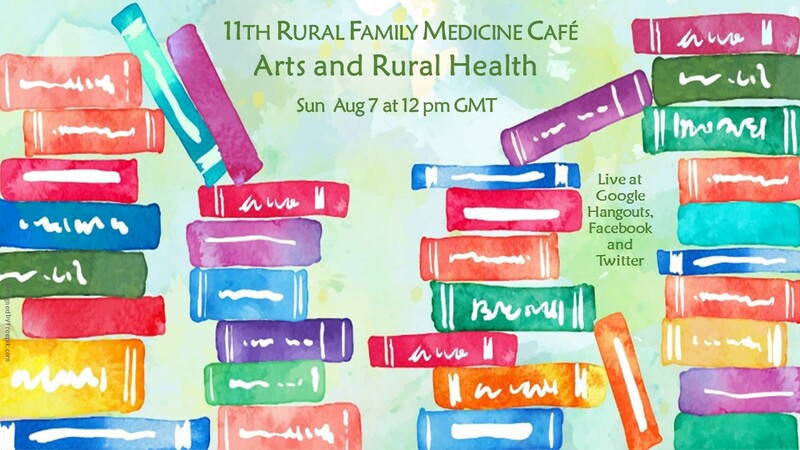 In 7th of Aug of 2016 we have the Rural Family Medicine Café about Arts and Rural Health. It was present Mayara Floss (Brazil), Amber Wheatley (Virgin Islands/UK), Amanda Howe (UK), Bianca Silveir a(Brazil), Shailendra Prasad (EUA) and Jesse Rockmore (EUA). Also on the social media we have we have a good engagement with feature to Dr. Smruti Mandar Nikumbh-haval (India). Watch it entirely at the link: https://www.youtube.com/watch?v=nY4LboJtIn0 . Further is possible to find at the end of this document more links to all the content that we shared. 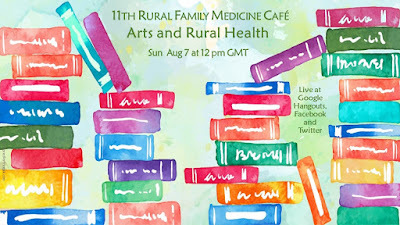 Specially this Rural Café was really interesting bringing a Broadview of arts and its interface with rural health. We discussed about a lot of types of writing. Shailey said that the academic writing is a “boring one” but still being a way of sharing ideas, also blogs, short stories and etc. Amanda complemented that writing (even academic) is a way of expressing ourselves and experiences – we write in different ways is for different reasons. I talked about the bool “The Quilt: Experiences of Health Education League” (A colcha de retalhos: vivências da Liga de Educação em Saúde) in a community based project with medical students to write together a book. 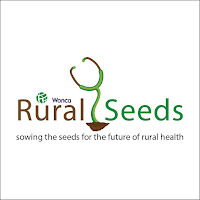 Also, the Rural Health Success Stories project were mentioned. How arts could influence medicine, medical students? Art can be healing, it is not specific to rural but could be therapeutic - a way of care and promoting health. We use arts to show what we do. Amanda mentioned a Photograph Exhibition in her university were it shows the different perspectives in rural areas and made it very visible: travel, distance, seasons – showing the different rural situations and challenges. Also the learning/teaching importance of arts expanding students perspectives. Writing could help to debrief a self-reflective piece on the day by day – how do you feel? How to deal of this? Arts express the joy of connecting with people, how we link and learn to going forward. Burnout is one of the aspects that arts could tackle. In USA were is being trained a highly sophisticated professional that it few years is a professional in burnout. One of the answers to fight burnout is finding joy, joy in the work, people that you interact, finding the sense of community and arts have a central role in it. In India, they use scenarios created with help of idols sculpture, ancient dance and drama form as health promotion tool to convey live healthy message. Also they have an art form named “kirtan” in which presenter tell a story mixing mythology and also give good incites in between the story relevant to today's era. These presenters are like God to rural population and this is best time to teach them good habits healthy living methods. Arts is part of the life-learning, we are not a defined project, it is a way to improve ourselves, in rural areas this become more important because mechanisms of expression. Amber and Bianca, brought the idea that simulation of clinical consultations into medical education the arts have a central role in the theatre, expression and creating empathy. It is a way to understand people, being creative, invent a scenario, acting skills. Also, Amber said that she could learn from one of the simulation scenarios not just communication but that people react in different ways in different contexts – and this shows that things have different meanings of our meanings for it. As she said: “Showing the body is more then just flesh & bone, working beyond perceived limitations”. Arts and medical education: Would there be some prejudice that makes students think that it is not important? It was discussed the still poorly interaction between arts and medical curricula, were it was said that we should bring more to the clinical modules, inside of it arts, not an "optional module"' – changing the interface between arts and medical education. Arts do not should be into a module it should be day by day: how we could bring arts in the core module? In addition, it was mentioned the Narrative Based Medicine and the role of doctor as “anthropologist” and taking/telling stories in medicine. The urge to explore arts more consistently into the curricula. The importance of reading others stories, sharing experiences in arts. Amanda shared her experience into university were students refused an optional module that “it is not ‘medical”, and preferred to just study “medical modules”. Sometimes arts could not feel like “real medicine”. It exists a parallel with Family Medicine, “it is okay it is about real people, but the specialist is doing the technical stuff”, the prejudice and marginalisation is the same that happens in Family Medicine in general. Amber brought her experience of doing one module that it is “not medical” with the module “medical, health and society” and other modules in psychology area were some of students liked it and other hated it. This varies by the background of the students, and in this context arts is much more the orthodox root. Also, the postgraduates students usually have more control of their education and they could bring it more to their curricula. The inclusion of arts into the curricula is much more about working smart and not working hard – building relations with artistic expressions, also listening the patients experience – “the patient story”. A lot of time students couldn’t get the whole picture of the value of not doing things that are purely medicine/scientific/textbook and the professor should have the wisdom to guide. However much of the art part that makes you a doctor, having insights in the unknown feeling. Jesse is studying in a osteopathic school which understand a person as a mind, a body and a spirit. Non traditional science students and some of the students and how he could visualise anatomy with his background in visual arts versus other science students. And Jesse have a background course in piano improvisation so he could see the patterns, having the ability to see this patterns in medicine. Students are more than scientific: they are eclectic. The entry criteria in the context of USA, UK and Australia focus more in the potential of the students and not just the scientific background. However the selection for medicine in Brazil is quantitative and by a test. Bianca said about her experience in her diversity and the burning out in students agenda were a new module will not be welcome and the need to broke the conservative way of learning without arts. Does EMR (Electronic Medical Records) reduce the narrative / personalised perspective of the doctor? Shailey said that the Electronic Records is taking the soul of the narrative, we are expected to be very reductionist in our documentation which are “dry” – it is a challenge for the reduction of the new generation of GPs - we are becoming reductionists. EMR reduces eye to eye contact and reduce doctor patient interactive sessions. It is a doubled sword it will have a bounce of students that will look at it and will say: “Oh my God, what do I need to do this” and will not participate at the same extent that we would like them. Therefore, this bring the question: “do we open it to everybody or do we deliberated keep to the once who want that” and at the flip side how do we emphasize if you don’t get support of higher ups in the medical education (deans, coordinators), how do we emphasize arts importance? Then, how can we functionally come up with the best curricula to do it? What is special about rural and arts? 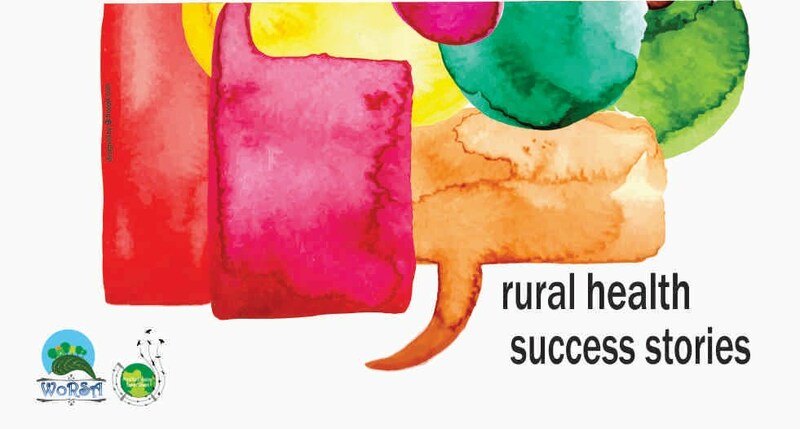 It is the need to discuss more, as an example we have few literature on rural health (not academic one) bringing more arts point of view to show stories and experiences. Arts in rural is a way to share experiences, not formal but has a lot of impact in the learning process compared to clinical stuff. We should use arts to bring people together, like a quilt, and by arts we can be together as a quilt. Mayara said “You do not need to be connected on internet to feel connected with the ‘Fortunate man’, you can connect with a song, a poem, and arts can do exceed and make you feel connected with other people” – which is fundamental in places isolated like rural and remote areas. Arts could link physicians and decrease isolation of physicians also helping the patients. It is possible to use arts to empower communities, to transform their health, to understand themselves. Amber showed the contrast between her hometown and Wales, saying that she need to adapt to patients reality, not just in communication and the different ways of communicate and comparison, humour to make people to relax – the way that we communicate in rural is much more personal than the way that we communicate in a urban area. Amanda raised the idea that communicating, engaging through arts could be really similar in urban and rural areas giving to people voice and understanding their own lives. Maybe what is more special about rural angle is that it is less visible and arts have the power to bring people together and think together. Mayara brought the experience of the Indigenous Seminar were a doctor use a clay to made models of women parts and the experience of the Health Education League to draw the parts of the women body in a white paper, so people can show how they perceive they own body, arts is part of cultural competence and physician role. Arts is also a way to deal with burnout in rural areas. Jesse stated that arts is also a possibility to treat and monitor the patient, bringing the example of patient with dementia that was monitored by her GP by their capacity of understanding a film and draws. In addition, the therapeutic use of music, were people with dementia respond to it. Further, arts is able to show realities like the movie Amour that showed the violence and the difficulties of caring. Also, the project of the Twitter/Facebook brought the #RuralWomenGP project. In today's brand factory era arts could be an old fashion thing but once you provide a good example this thinking may change.